Traffic-adaptive signal control for nodes is an efficient and effective way to reduce stop-and-go traffic and keep inner-city traffic moving without expanding road infrastructure. PTV Epics was developed specifically for single nodes and runs directly inside the control unit. The model-based process observes local conditions and calculates numerous control options every second. The traffic-adaptive signal control for nodes then uses its internal model to evaluate the different options before applying the most suitable one. In this process, it takes all modes of transport into account - from individual motorised transport and pedestrians to prioritising public transport. Control traffic at individual intersections and entire corridors to minimise the number of vehicle stops and reduce emissions. The adaptive signal control for nodes allows you to make the best use of your city’s infrastructure. PTV Epics is supplied with data from its own signal control editor - a module of the PTV Vissim microsimulation software into which PTV Epics is directly integrated, providing an ideal test setting. 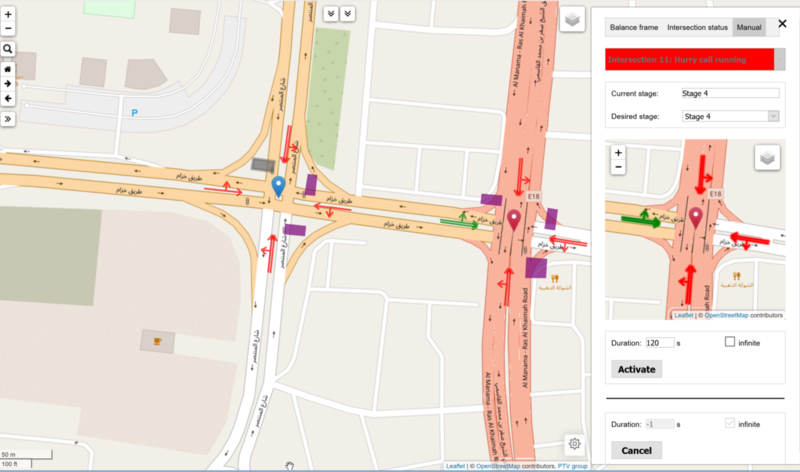 Here you can set all stage parameters and interstages to coordinate green waves at intersections for all road users. Traffic engineers define the underlying fixed time signal program and its weighting for PTV Epics, along with other parameters, such as minimum and maximum phase duration, and green times for the different signal groups. They also configure the permitted phase sequences and the weighted requirements for private and public transport and pedestrians. The weightings for the different elements feed into the total performance index, which summarises the resulting waiting times and blocking backs during the evaluation of a control option for the node. In operation, PTV Epics accesses the detector data for the node, uses it to recognise the incoming vehicle flows, and adjusts its simulation model to calculate the effects of different control options. 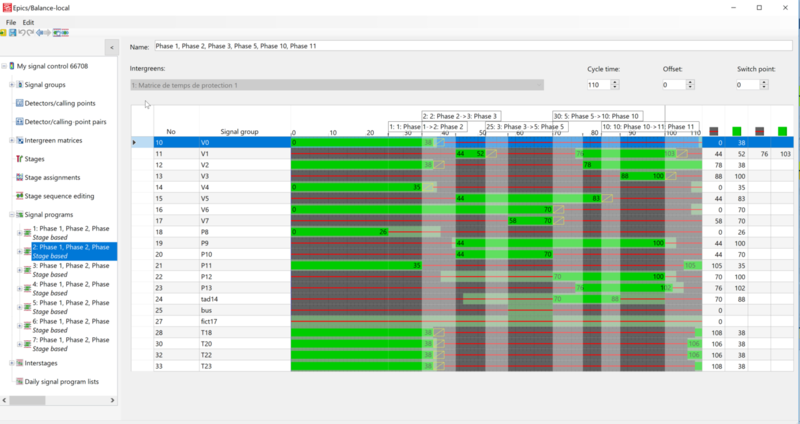 In less than a second, the traffic-adaptive signal control for nodes optimises the phase sequence and its timings by improving the total performance index. In this way, for example, a bus or tram line receives priority at an intersection when public transport is assigned a high weighting. With the adaptive signal control PTV Epics you can prioritise different modes at a single node by individualising travel times, calling-point pairs and lane information – to react to the live conditions on the road, minimise the number of vehicle stops and thereby lower emissions in your city.